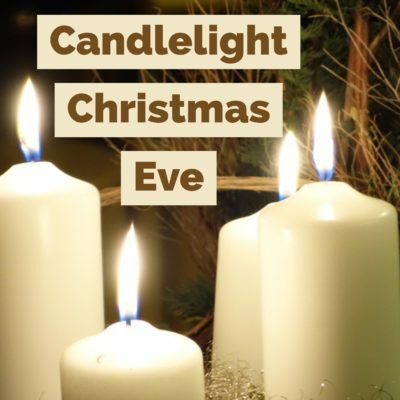 4, 7:30 and 11:15 p.m.
Join us for Candlelight Christmas Eve worship with your family, friends, and neighbors. Each service features beautiful music, familiar scriptures and a Christmas message with meaning for your life today. We’ll conclude each service with the tradition of passing the light and with the glow of candles. Music will be led by our praise band at 4 p.m., piano and choir at 7:30 p.m., and piano at 11:15 p.m. Experience the Christmas story fresh and new again this year!